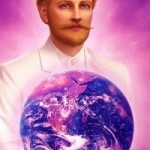 Ascended Master Spiritual Message with the Beings representing the 10th Flame/Ray of God of Pearlescent: Integration of the Masculine and Feminine Divine. Transmitted by Rev. Christine Meleriessee Hayden – Integrative Channel of Walking Terra Christa. 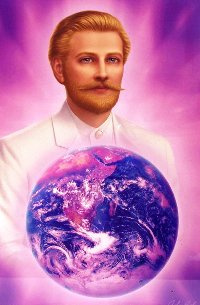 It is I, Lord Saint Germain, bringing forth the Divinity of Light to help each Initiate to understand the pathway of transformation and growth. This process can travel through several layers as the Etheric Self is desiring to become One within your consciousness and the full body system. Trying to understand elements or issues that you are dealing with from the perspective of the Mental Mind can truly create many changes as you desire to find the answers to why you are experiencing your life in the way that it is enfolding. That is why you step unto the Ascension Pathway, to fully accept that you are a Divine Being of Light, with many levels of remembrance that will be revealed in order for you, as that Initiate, to fully accept your Truth. So many times, individuals on this pathway can get very confused as what they are experiencing in the physical mind is different than the meditative mind. It is important to realize that these two aspects of yourself fully need to come into alignment so that you, as the physical being, can fully step into your empowerment. This is why the walk through the Initiations can be so troublesome because on a third or fourth dimensional level you can have a total lack of understanding why you are experiencing situations within your life. PLEASE KNOW THAT YOU WILL NOT UNDERSTAND ANYTHING THAT OCCURS FROM YOUR LOWER SELF ~ IT TRULY CANNOT BE ACCOMPLISHED IN THAT MANNER. It is at this point that the Initiate needs to take responsibility for their Spirituality so that this essence that you desire to have within yourself becomes the reality you desire to experience. I have seen so many Initiates become so agitated with their history of who they have been either this lifetime or another, it truly does not matter. What is important to consider is the walk of the changes that you are experiencing as each moment in that journey is very important. It will help define who you are becoming from the Spiritual Essence instead of just being within the Physical Mind. Through this pathway you will start to learn more about your Higher Self as part of your Spiritual Essence starts to intertwine within you. But before that happens there are many other doorways that you need to step through in order to fully accept the Divinity of Light that you are. Some may call this the “peeling of the onion” in which you are constantly taking apart the layers of debris or unresolved elements to come into the awareness of your physical self. As you start to relate to your Higher Self more, then you realize who you have been previously, and you may not like that person very much. But what lies underneath of all of these elements is your Eternal Truth that will be revealed to you. This process is much more complicated than the words that I can share. You are a Multi-Dimensional Being of Light and within that essence you are very complicated. You have lived many lifetimes and traveled far and wide between planetary systems so that you could prepare yourself for this moment in time. But yet, when you arrive in body, the experience is quite different than what you expected. It is not as easy as what you believed it would be. The challenges that you endure are great and there can be great moments of not understanding the process. It can create dysfunction to occur in your life or to feel very alone in your quest of your Divine Self. This is when you step into the Mastery Pathway as you start to learn that the healing you are experiencing is all part of the Divine Plane. 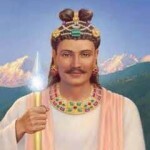 You learn about the Ascended Masters and feel a deep connection. This is because you have prepared yourself in the previous moments before your incarnation. But, then you realize it is not easy. You have to reveal to your physical self the old memories that have been locked away for eons of times. Many moments you feel unadjusted and in emotional pain, but yet you continue as there is something within you that is telling you that this is where you need to be. You start to incorporate the energies of the higher realms as you feel a new sense of yourself. You have traveled far and wide to get to this point of your creation. You start to get a sense that even though the journey is challenging, it is truly where you belong. You have learned so many things along the way but yet there is an element of uncertainty that can come into your consciousness. The process of allowing the integration of the Higher Self into the Physical Body is one that has been pondered for eons of time amongst many of the best masters of the world. There is no steadfast rule of how this is done and how long it will be until you master your feelings and thoughts through the Emotional and Mental bodies. The Journey of Healing needs to be sustained in order to Strengthen Your Four-Body System. You are an Initiate preparing to step into Mastery within your future, and hopefully, upon the Earth. It is important for you to reflect within yourself each moment of your progress through your Emotional and Mental bodies. There is no other way to come to the destination of transformation as without the Feminine and Masculine Divine activated within you, this process cannot be achieved. It is important to realize that there are many stages to the pathway of Transformation. In order to attain your Divine Self the Physical Self must go through stages or realization and growth. Some of it can be very challenging. You will constantly have to affirm within yourself that you are going through stages of growth and sometimes those growth cycles can be very debilitating to the feelings within you that result in your thought process. It is the only way in which you can fully accept that you are allowing your Divine Beingness to be part of your reality. This is why the Initiation Levels of 2 – Mastering the Emotional Body and all the feelings that occur and then Level 3 – Developing Self Mastery over the Subconscious Mind and blending the three minds of the Super Conscious, Sub Conscious and Physical Consciousness, are so very important. It can take an initiate many lifetimes to just get through these initiations in the past but with the present energies upon the earth each soul has the accessibility to accelerate in many ways. As an Initiate moves through these stages, it is important to be retrospective within the self. Look at your lessons to see what challenges you have experienced and accept the growth that occurs from them. It is important to realize that you have the potential to move through great changes, but you have to work within the feelings and thoughts that you are experiencing. Transform yourself into being like the Eagle – Flying High above all difficulties as you fully integrate the Child Within You to become the Divine Being of Light. As you learn to access these traits within yourself, the process of you being the Initiate will allow you to start to gain new acceptance that was not acquired previously. So the next important element is how do you transform the Emotional Body into the Feminine Divine and the Mental Body into the Masculine Divine? This is a very important step to understand for yourself. If you look at the list of traits that I shared, they all represent the Masculine and Feminine essence, the feelings and the thoughts that need to come from your Higher Mind and your Higher Heart. As I have said this process of renewal is one that cannot be pushed as the elements within your Etheric Self are crying out for healing. I am sure you know the steps that are involved can be very challenging and may take you many moments to even see that you have a problem within yourself. As you learn to allow the Masculine and Feminine Divine to become more part of your consciousness, these traits will come very naturally, but it will take time and effort on your part. When you realize that change has to be arranged in your life, then accept the old self that is healing through the process. Know what needs to be corrected and allow the higher frequencies of light assist you to do so. When you allow the Masculine and Feminine to work in unison, you will find that the challenges will shift. You will have a new perspective of yourself and be able to make the necessary adjustment into your Divine Self. I have asked Lord Voltar and Lady Valencia of Andromeda to share their essence to you. They represent the 10th Flame of Pearlescent of blending the Masculine and Feminine Self into Oneness. They have achieved this great alliance of the Self to be fully integrated within each of them. The essence of Andromeda comes from a Source Of Divine Love which they embody within themselves. I thank you for walking with me. We are Lord Voltar and Lady Valencia of Andromeda; we come to assist you to understand the complexities of the Masculine and Feminine Divine that can occur within your conscious mind. The most important element we can share that it is imperative to allow the energies to occur for you and not against you. If we bring forth the essence of Love, flowing effervescently into your Being, then you are experiencing the Integration of the Masculine and Feminine. Yes, it is as easy as that but your species desires to have all the answers. To know what is occurring, why, how, etc. In fact you will not step forward into any new arenas until you are absolutely sure within the Mental body that is what you are supposed to do. This process is stopping you from your growth potential and will continue to do so until you allow the Divine Love that you are to become your reality. This is why your society is controlled by the Masculine energies and it is not Divine; it is manipulation. But we see so much potential occurring in your world and that is why we choose to be here with you. The first step in allowing the integration of your Emotional Body to become the Feminine essence is to surrender into the energies that are desiring to be in your world. You must take time for yourself even when you think there is no time in your world. Feel the blessing of love come into your Heart as you expand your awareness in a completely different manner. Let this flow of love become you and then you will start to heal. It is like the flow of a waterfall. When you stand underneath of it, it can pound upon you. But yet afterwards, you feel refreshed and rejuvenated. You realize that you had to endure the pain in order for it to be resurrected into the pure essence of light within you. Your light has changed dramatically, because the old emotions are being healed allowing you to become One within yourself. As you do this, then the Mental Body will relax. This part of you is in so much control because the emotional side is not showing courage in her decisions. So the Mental Body has to take over in order to accomplish the tasks that need to be done. Yes, this is the first step of Allowing the Divine Essence you are to flow within you. Stop the Inner Chatter within you, find time for your silence so that the Feminine Divine can fully work within your physical body. As you go through this process, you will notice subtle differences that occur within your consciousness, within your feelings and thoughts and you will be able to act differently. Believe me, it will not happen immediately but with time as you truly allow the Masculine and Feminine Divine to work within you, then you will slowly become this essence. But you must be strong and make the necessary changes for it to occur. We send you the Divine Love from Andromeda to help you realize the potential within yourself. We are Lord Voltar and Lady Valencia at your service.